Explore Tenerife’s nature and wildlife on this private all-day guided tour. 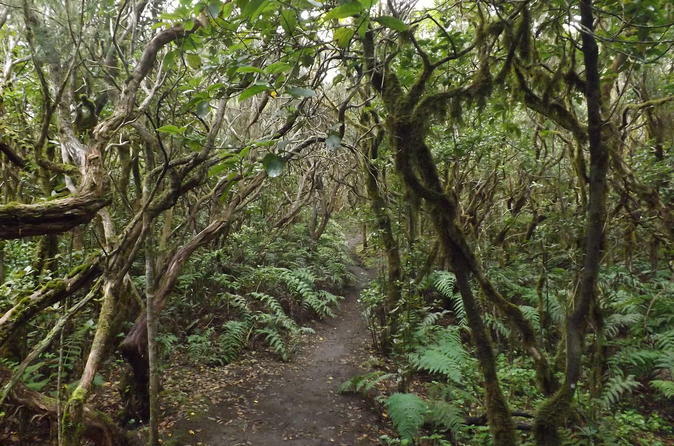 Travel with a small group and an informative guide leading the way to see the incredible Anaga mountains and prehistoric laurel trees. Check out stunning rock formations and the impressive vista of Cruz del Carmen. Watch for native birds and be amazed at the thousands of plants at the Palmetum’s 29-acre (12-hectare) botanic garden.